At tractor trailer rollover closed CR 59, also known as the Back Hannawa Road, for close to 5 hours. Potsdam Fire was dispatched to the reported rollover at 1317 hours and Engine 80 was enroute at 1320 hours. 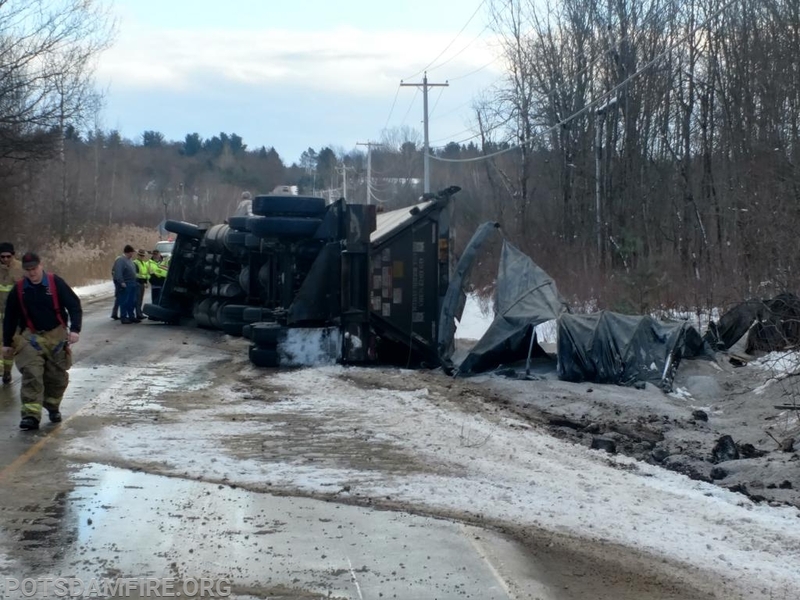 Upon arrival, crews found a tractor trailer loaded with road salt on its side, leaking fluids from the engine compartment. 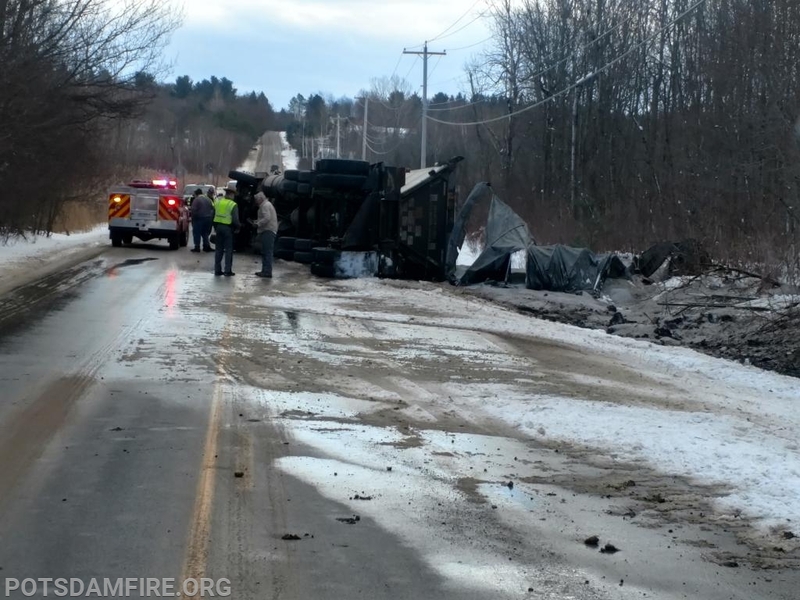 The load of road salt had spilled from the trailer onto the road and into an adjacent ditch. The road was closed and traffic detoured around the accident scene. 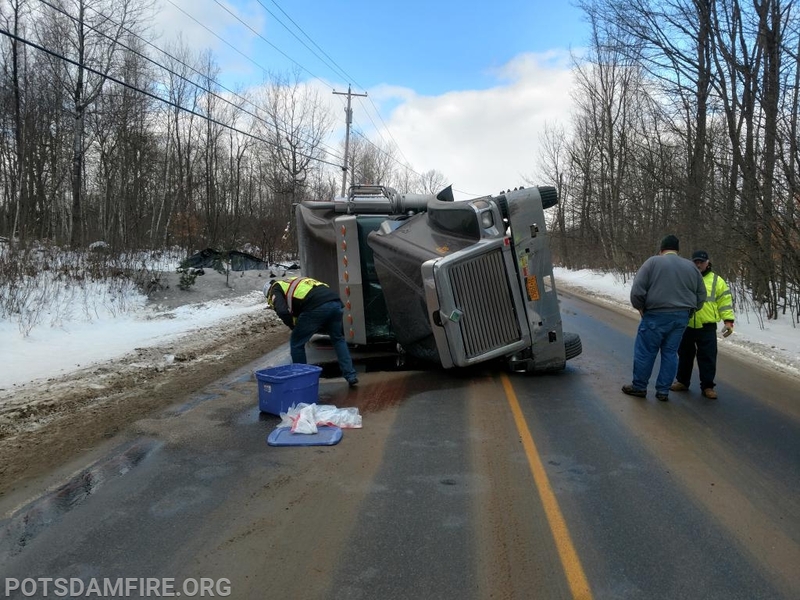 The Hannawa Falls Fire Department was requested mutual aid to close the road on the opposite side of the accident scene. 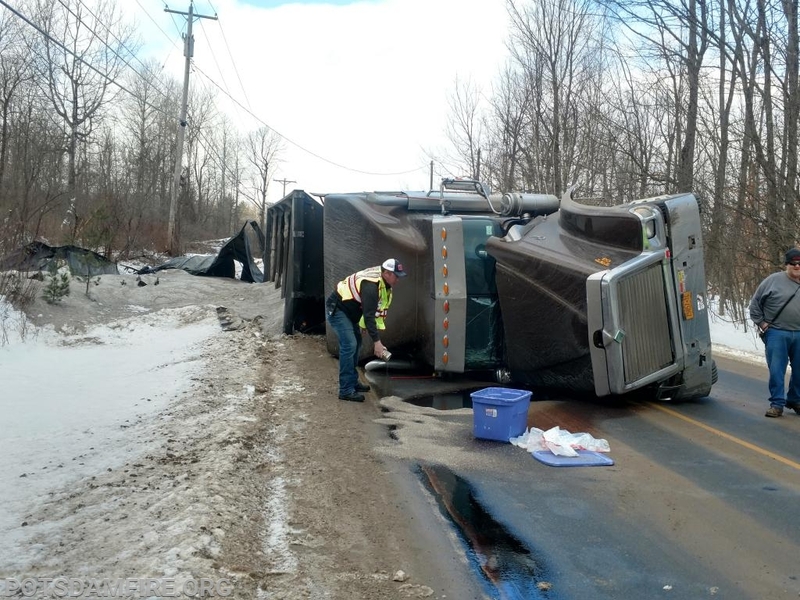 The NY State Police handled the incident and the NYS DEC responded to the scene to coordinate the cleanup of the salt as the accident occured in a marshy, environmentally sensitive area. The truck was removed from the scene by Route 11 Truck and Equipment Sales and Service. There were no injuries and all units were back in service at 1730 hours. You are Visitor #390 Today!